Kauai Veterinary Clinic’s mission is to provide its patients, and their owners, with the highest possible quality of service and care. Be sure to review this information before your visit to ensure there are no suprises before your appointment. Be sure to view our Online Forms prior to your visit. 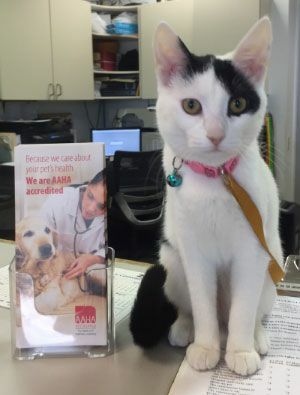 Millie says "We are the only AAHA accredited veterinary clinic on the island! You're in good hands!"